Interaction design works, in part, because it is able to anticipate user behaviors. Design theory models interactions: with products or services and their features, functions, interface, and so on. And if we’re reasonably competent and a little lucky, we get the outcomes we expect. But it’s one thing to model interactions with software or hardware, and another to model the social interactions so critical to social media. The conventional (non-social) approach to interaction involves a single user experience. User-centric approaches provide ways of thinking through that user’s goals, needs, and objectives. The idea being that by modeling interactions based on theoretical notions of user-centric objectives, software can be designed to successfully and satisfactorily engage with the user. In short, the interaction is between the user and the product (software). The design methodology defines user needs and thus suggests successful design solutions. But the methodology is based on a functionalist view of interaction and an instrumentalist view of user goals. Functionalism, grossly stated, reduces human interests to causal sequences. It is based on the idea that we know what we want to achieve, and how to go about achieving it. This is called instrumentalism because it suggests that humans do things for a reason, and human activity is understood as a combination of acts, actions, and activities in which ends are met by appropriate means. We all know where this leads us: to a view of human interaction that can be optimized, operationalized, quantified, and assessed in overly simplistic terms of success or failure, efficiency or inefficiency, and effectiveness of ineffectiveness. The reason this approach fails to account for interactions around social media is two-fold. First, it fails to grasp the rich social dimensions of social interaction and communication, which as we experience daily are not governed by rational and instrumental goals alone. Secondly, it propagates a misleading claim that design structures and organizes interactions in social media (because design satisfies user needs and goals) — which of course it doesn’t. Social interaction involves two users (or more). Their interactions with each other, mediated and facilitated by social media (the software), are what qualify whether a system “works” or not. But to incorporate the experiences of two users into a social interaction design methodology we need to do more than simply double up user-centricity (say, as a two-user framework). It’s not just a case of two users instead of one. It’s a case of two subjects communicating and interacting with each other. And that means relational dynamics. The critical insight into a social interaction design model then must absolutely begin with human interaction. And the most fundamental idea in human interaction is that it rests on double contingency. Double contingency is the basis of inter-subjectivity: each subject intends and interprets meaning freely. The meaning experienced by one user, even if it explains some of what the user intends to communicate and do with the other user, is not the same as the meaning experienced and interpreted by the other. The contingency comes into play simply because meaning cannot be attached to the interaction, but “exists” only in the experiences of the users involved. The fact that as social interaction designers, we have no access to the subjective world of meaning and experience of the user does not mean we lose our ability to observe and describe what’s going on entirely. It means what it has meant to any professional in the human and social practices: we need to know how we know what we observe and describe, and be aware of the limitations of our knowledge acquired and explained. The meaning of an interaction, or of communication, is not what the observer thinks it is (that would be ridiculous). It belongs to experience itself, and in many ways is not even conscious to the person experiencing it. From some perspectives this is not an intractable problem. Social interactions become consistent, recognizable, and familiar as personal and individual habits are taken up as routines, pastimes, games, and many other forms of “conventional” interaction. As long as we, as practitioners, grant that we cannot offer a complete account of the inner experience of each and every user, and that we seek instead to observe social media to find common social practices and forms of interaction, we can still model interactions and describe frames of experience in generalized terms. Related design disciplines encounter a similar problem. One that may serve as an analogy is urban planning. Urban planning anticipates social interactions facilitated by architectural choices. It recognizes the importance of general social phenomena: traffic and traffic flow, congestion, activity, commerce, the congregation of people, and so on. Urban planners are social architects, and they can model and design for these social phenomena. They cannot guarantee that fans have a good game, but they design stadiums to the observed social practices of what people do when attending live events. Or to take another example, multi-player games. Designers of multi-player games use social interactions as an intrinsic aspect of game play. The standard ingredients of game design — roles, positions, rules, scoring, powers, levels of difficulty, etc — are only the game’s elements, rules, and design. They are not the same as game play itself. Game designers anticipate the experience of game play by their users separately from the elements which comprise the game. They work game play and experience into the design by anticipating play: taking turns, slowing down, speeding up, providing back-channels for player communication, structuring collaboration, competition, and other social dependencies, etc. Event planners represent another example. Event planners work with their understanding of large (or small) groups of people, often bringing their sense of time, timing, and duration to bear on activity scheduling (from the rituals of events like opening and closing ceremonies, to satisfying the seemingly banal needs of audiences, such as wi-fi, name tags, coffee breaks, and swag). There are of course other examples of disciplines and professions that are social in nature. Designing for the social interactions of people using social and communication applications, however, is complicated by the fact that the interaction is mediated. Social interactions online are not the same as they are offline. There is less “there,” there online: people aren’t together, so it is impossible to describe “what’s happening.” Often times, people aren’t interacting at the same time, so it is difficult to observe a temporality or duration. And in the absence of a sense of shared space or location and shared period of time, we lose our ability to refer to a “situation.” It becomes difficult to observe, let alone describe, what’s going on. We may then be tempted to describe interactions using what can be seen on the screen: posts, messages, ratings, votes, and so on. But that would be to miss out completely on the relationships, the intentions, motives, communication, symbolic interactions, and other aspects of social interaction which transcend empirical evidence. Not to mention time, which is such a critical dimension to social interactions. For all social interactions involve references to past activity and create opportunities for future activity. Relationships are nothing if not the orientation we take to others over time, moreso perhaps when we are absent from each other than when we are present. Designers like to talk about context. Context situates activity, and activity’s acts and actions. Context situates participants, and frames their interactions for a stretch of time (an episode or period of time). Context, in design speak, is like situation in social interaction speak. The designer of social media must work without access to “a situation” and all the context that situations provide (which we can also describe as the framing of experience). Instead, designers have only their inherited orientation towards the user experience, and a framework of social practices continuously evolving around the media that sustain them. Users are not just their needs and goals; and are not just the experience they are having now. In social media, user personality differences are profound and important. It is in fact likely that certain combinations of user personality types not only work well, but contribute to the growth and success of some social media systems. Users are different and their experiences are different. So where do we stand, given that context defined as experience and practice involves factors that transcend what can be empirically observed? And given that a reduction of user centricity to needs and goals results in misleading use cases founded on a functionalist notion of utility? We simply don’t have the language required to observe, describe, and explain existing online interactions yet. Nor to anticipate the possible field of online social interactions, let alone the probable future of social interaction design innovations. To produce this framework, we would need to both describe the user’s interactions with a social media system and explain, if not predict, the social outcomes and practices that make the application a viable social system. There may be an aporia in the theory and methodology. To wit, a complete and systematic description and framework of online social interaction may be impossible, not because such a framework simply could not account for all that goes on descriptively, not to mention proscriptively. Rather, because much of online social interaction is rife with “failure”: missed and failed communication, and failed or fading interactions. With the breakdown sometimes comes a breakthrough. Failure, in this case, is not total. Failure may instead suggest that a design methodology oriented to success is simply the wrong approach to social phenomena. Design normally regards its successes and failures in terms of functional efficiency and efficacy. But in social media, function is not the best metric. In fact, systems that are poor examples of design may indeed result in high volumes of use and activity: the less well something works, the more social interaction and communication may be involved in using it. We might say that people like mess and messy, or that they like to go where the action is (to quote sociologist Erving Goffman). Goffman observed that in social situations, rituals provided a means for corrective behavior and action when the communication itself had broken down. He observed that ritual picks up where grammar leaves off: that when grammatical rules are broken, other ways of making sense are required. And this is true in social media. So true, in fact, that the entire genre may be described as a failing, error-prone, discombobulated and wholly-uncoordinated mess of a social experiment. And that it is only through the persistence, tolerance, and fascination of its users that much of social media survives with users intact. But if this is the case, and I believe that some degree it is, then the failures, mistakes, misunderstandings, and missed connections serve to create new forms of interaction. These interactions answer the need created by failure, and take shape as gestures, communication, acts, and the myriad tacit codes of conduct that distinguish people, groups, identities, and more. Ambiguity, unresolved and unclarified, may drive users on to repeat and reiterate their attempts at expressing themselves and obtaining a response or reply. Ambiguity may motivate those who wish to know more or understand better. Ambiguity may fuel rich and complex social dynamics in which the myriad of acts intended to figure out what’s going on and how to do it in effect create what’s going and how it works. These phenomena exceed the capabilities of design to regulate or control — but not the abilities of designers to anticipate and accommodate. A social interaction design discipline oriented to regulating social dynamics, responding with agility to emerging social practices, steering social outcomes by dynamically controlling, gating, preempting, and amplifying communication by means of navigation, content layout, emphasis, symbolic objects, and channeling might promise a new kind of design. One that oriented to outcomes but which emphasizes system processes and social dynamics over structure and stability. I do not know if this means a different kind of design or a different kind of designer. Social interaction design, to me, is not a matter of designing the screen but of designing systems for interaction. It’s my impression that the boxes by which many of us design and with which we try to contain the experience need to be opened up to systems and their processes, and interactions and their social dynamics. It strikes me that user experience professionals could enjoy a rich and fascinating engagement with social media if we can further develop approaches to social interaction that accurately anticipate outcomes by means of a grasp of these dynamics. This is by no means a finiished thought, and I welcome your thoughts and comments. I wonder if you wouldn't mind going into a bit more detail about the theoretical/philosophical background to this essay. For example, you say “we have no access to the subjective world of meaning and experience of the user”, but I would say (under the influence of Lacan) that the user has no access to their own subjectivity except as reflected as inter-subjectivity. I'm not well-informed enough to debate this point — the forth-coming book “Interface Fantasy: A Lacanian Cyborg Ontology” might be relevant — but what should I be reading to fully grasp this line of thinking? I would suggest all media exist, in the final analysis, as tools for humankind to search for meaning. There are various business models that take advantage of that insatious search, but that is the biggest driver. 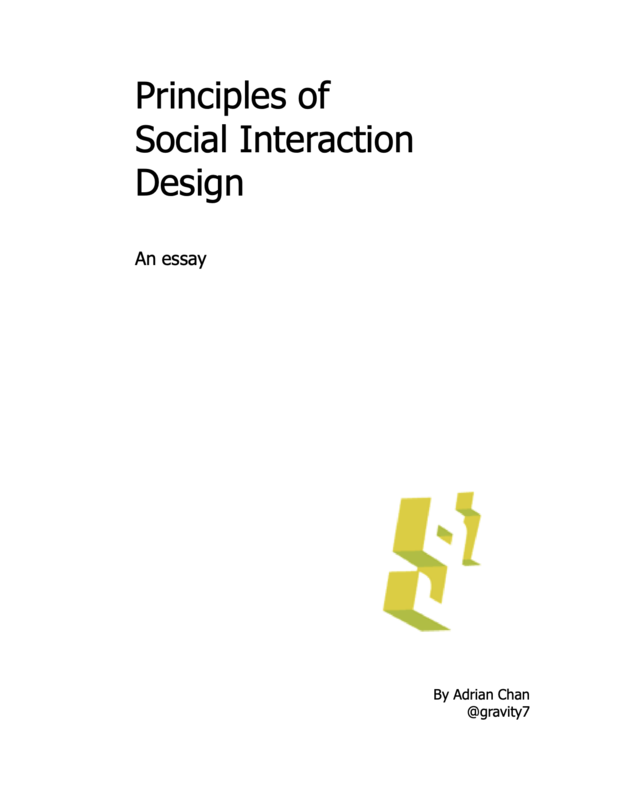 Social Interaction Design attempts to understand the formula more than most disciplines. 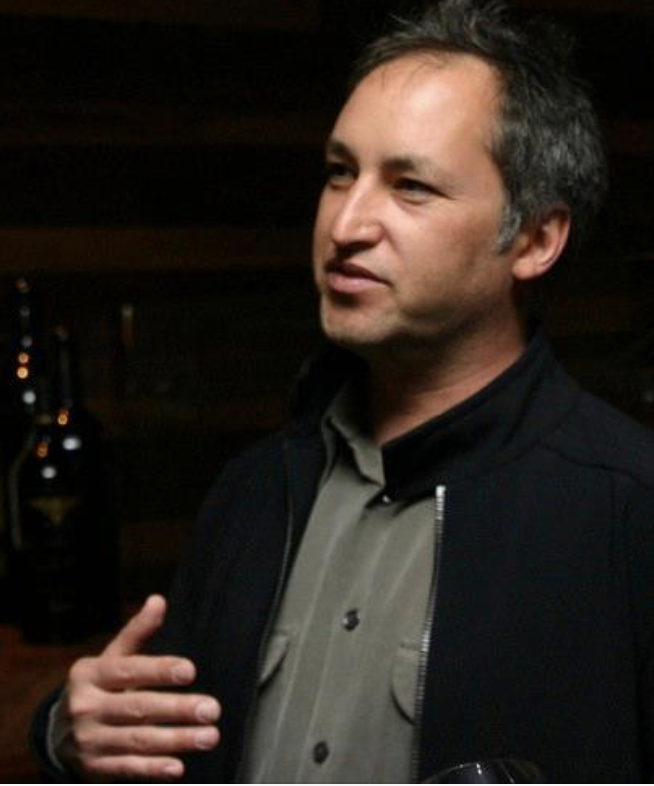 I used to think Jason Calacanis of Mahalo got it backwards in reference to his statement on the future of media: “The fat tail will be human, the medium tail social, the long tail algorithmic.” I am beginning to think he got it right. The search for meaning… well, can't disagree with that! Calacanis says it well, but really the entire tail is social, whether it's the fat end of communication and interaction or the long end of ratings and diggs. By saying that we have no access I only mean to say that we cannot base our insights into the user experience on the user's experience of what's meaningful, what's intended, what's motivating, and so on. By some accounts (Lacan included) the user isn't self-aware of these him/herself. That said, we can't attribute meaning to the objective world either. Interaction and communication, as I use them, are built on the basis of social action, which means that actions are oriented to others. An action that is not socially oriented is just a behavior: a person doing something. But an action that “intends” to engage others takes up that orientation and uses either language, speech, performance (including body movements and facial expressions), use of symbolic media and so on to communicate — and does so understanding something of how that communication may be interpreted. That orientation to the other's interpretation may include use of context, situation, convention, and so on. I think this is the best approach to online social interaction. One only has to account for how mediation changes the ways in which we can and can't communicate. On the theory side of things, Lacan's take is not very helpful from a design practitioner's perspective, although I like his work. But Lacan views the subject as structured like a language, and his distinction between the Real and the Imaginary, while I can see how it would offer a way to argue a mediated subjectivity (cybernetic ontology), allows intentionality and agency to slip away from a theory of subjectivity and of inter-subjectivity. I've taken a more practical take on this, using Habermas, Giddens, Goffman, and others in order to preserve agency and to take advantage of the insights provided by pragmatics. Pragmatics (Habermas) lays out the features of linguistically-mediated exchange very nicely, and complements the communicative function of language with the interactional functions of performance. I view social media as a technical mediation of the act of communication. 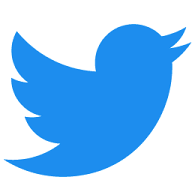 Sometimes by means of text, which is linguistic exchange, sometimes by means of symbolically mediated forms of interaction, from navigation and structured interactions (eg social apps) to open interactions (twitter) and their preservation over time. At the root of this is the separation of the act of communicating from its performance. This is why we need to modify Goffman's symbolic interactionism, for example. Social media facilitate communication and interaction disembedded from time and space (Giddens). That means the face and body are bracketed out. The medium's own social patterns result, as they are taken up in the form of social practices (eg conventions of use), in forms of talk that are fundamentally dislocated and decoupled from facework, bodily expression, gesture, etc and which use mediated forms instead. Although we cannot know what the user meant, intended to mean, hoped to achieve, why, and so on, I do know that she meant it socially. Whether she was motivated by how she appears to herself, to friends, to a community, or to the “public”; whether she hopes to get a response, reaction or reply, directly or in passing (indirectly); whether she hopes to be popular, attractive, first among friends, first among competitors, or to go unnoticed, she has taken up a relation to others. (Even the lurker is a lurker with respect to social presence — she too is socially oriented). This is proof enough for me that any framework that claims to be user centric must be social. Conventional interaction design models user behaviors on user intentions oriented to getting something done. Actions are a means to an end. That end is defined in terms of utility and governs what the thing is used for (use and use cases). By contrast, a social interaction design framework ought to begin from the inter-subjective approach used in sociology, linguistics, psychology and other social sciences and which recognizes agency (the user acts and knows it) and has models for social action (acts of an acting agent with others). Which theory of agency is used matters less to me than to open up the user experience discipline so that it better recognizes and explains what's going on when users use social media. Goffman is highly relevant to SXD in my opinion. Just consider the following quote from “Felicity's Condition” and think about how you go about getting the attention of people, online or offline, that you want to engage, or ignoring the attention of people you want to avoid. I agree. What I would like to find, though, is some solid research on the search for meaning via various media tools–especially new media. That should be a driver in design, infrastructure, algorithms, etc., but it seems to be ignored because it sounds too philosophical, an afterthought, or assumed so obvious that no one scratches its surface. By the way, outstanding reading list. Attention avoidance, or rather, politely acknowledging other people while witholding one's presence availability for interaction is actually given a term by Goffman: “civil inattention” (http://en.wikipedia.org/wiki/Civil_inattention). As good as Goffman is — and Frame Analysis is where I'm going with my thoughts on using frames of experience in social media, too — social media is of course not face to face. One needs to take into account the bracketing out of facework and place (contetxt), as well as the elimination of a mutual time-binding of situated encounters. Media do what they can, usually by means of preferences, privacy settings, search and navigation, to make connections possible with other users and also provide controls around interaction and visibility. But we're only scratching the surface. Strictly speaking I don't think what we do is “search for meaning.” That again would suggest that there is objective meaning — a meaning that can be identified by all, codified in the data structure, and related to other meanings in an ordered and stable way. I believe humans search for meaning, not knowing what it is but recognizing it when they experience it. Meaning is “meaningful to me”; communication extends that in the hopes of “meaningful to you” and “shared meanings.” You (one) do not have to agree with what I say, but simply find it meaningful (in your own way). We'll never be of one mind. What I do know is that people find meaning meaningful, not information in and of itself. And as far as I'm concerned, no subject arose outside of the social, so therefore meaning is socially constructed as well as individually experienced. I think you'd be hard pressed to find an example of social media use involving interaction, other than spamming and other non-social uses of it, that does not comport itself to the constraint described by Goffman as Felicity's Condition: “to wit, any arrangement that leads us to judge an individual's verbal acts to be not a manifestation of strangeness. Behind Felicity's Condition is our sense of what it is to be sane.” In other words, I don't buy the idea that facework is constrained to face to face proximity. People lose face all the time asychronously. Place merely shifts to space, which the ubiquitous computing people like Dourish have argued now for over a decade. Sure face is “lost” but in a different way. It's the difference that matters. If everything that happened online were a direct and complete reflection of what happens offline, there'd be no need for SxD at all. Facework can be understood through friendship or some kind of relationship, or as Goffman often breaks it down, by means of a panoply of intimacies, games, pastimes, rituals and ceremonies. Where's face in comments re-aggregated from across the social web? Where is it lost? Who takes it and who sees it taken? Etc. Since context is only a thin construct online and is bound neither by time nor audience (people come and go), it binds participants only as long as they recognize it. Goffman would certainly argue that facework is different non face to face. In fact that's the basis of his work on back and front regionalization — where interactions in a restaurant kitchen, for example, are different than interactions in general. And besides, I think you know why I can't reduce all to a simple condition. I've seen people “flood out” on twitter and not known if they lost face, if others saw them lose face, if they themselves felt they lost face, or if they realized they had appeared embarrassing. First, I would agree that context is a thin construct online. However, I would also add that re-aggregating comments across the web is no more social, or relevant to what Goffman would call facework, or frames for that matter, than collecting responses to questions about this or that attribute of identity, opinion, or activity through a survey instrument. These merely gloss interaction with data constructs, though they are certainly interesting at the level of information and heuristics. I'm not trying to be a purist here, but it is important that people not treat the “social” in social media as a mere adjective. Social media is a compound noun. If not, it is merely marketing and public relations. I'm engaging you on this level because I think you are one of the few people in this space really interested in NOT reducing the social in social media to an adjective. If the interaction in social interaction design isn't related to real interactions, explicit conversation and hopefully dialogue, rather than mere aggregations of opinion, reputation, etc., then you really ought not refer to them as interactions at all. The only interaction involved in such data aggregation is network interaction, an interesting topic in its own right but surely not social interaction. The importance of social interaction design, in my opinion, lies in the difference between what its makers think people can do with the technology and what people actually do with it. People don't have to be aware that they lost face in order to do it. The realization can come days, or weeks, later. On this point there is absolutely no difference between online interaction and face to face interaction. Some people, actually many people, just don't get interaction on that level, though they engage in it every day. If they did get it on that immediate level, sociologists and anthropologists, and social interaction designers wouldn't have much to think about. I appreciate your engagement level and thanks for the compliment. I do think, however, that mediation makes a profound difference in participants' ability to use many of the interaction practices noted by Goffman, from keying, frames, cueing, footing changes, and so on. Furthermore I think that disembeddedness of mediated interaction from place and time underlies new forms of interaction and communication. At this micro-social level, I think interface and other design choices structure, order, organize interactions but also introduce ambiguities of their own. Those are what I have sought to describe as the uniquely social attributes of social media (which to me is a verb). So I need to continually explore interactions — design of social by means of the technical — at the granular, where there may be strong couplings between practices and design. In other words, can't simply lay claim to Goffman's macrosocial principles. Instead I need to look for the transformations (perhaps social media are a secondary frame that refers to primary frames, to use Goffman). There is a difference between face to face and online. It's there in the fact that Goffman's insights into social interaction are embodied, and that particpants take up positions of care and concern with one another, for a bounded stretch of time, and using the many visual and embodied positioning cues to spontaneously negotiate interactions. For Goffman, the structure and order of social interaction is grounded in the sharedness of experience in presence. It's long been my argument that social media operate from an ontological foundation of absence and atemporality, explained by the dislocation of individual user experiences. For me, the appearance of social practices thus needs its own logic and explanation, one that is wedded in practice to media but imbued with the reproduction of social conventions (big and small) in new forms of interaction and communication. These supply new opportunities for communication (such as this here); raise issues around identity, trust, relation; engender new kinds of activities; call for a socialized understanding of interactions (acts, actions, activities); ground new cultural and social forms (from job networking to online dating, twitter, etc); and much more. I approach all of this from the design perspective because I believe strongly in the fundamental transformation of experience that occurs with mediation: a fact that, to me, includes psychological and phenomenological factors, such as mirroring of the self, externalization of the self (on the screen, by means of representational forms); interpretive schemas applied to web apps, content, navigation and so on; and transparencies of media in cases of direct communication (skype etc). Working with the forms of interaction and communication as they emerge by integration with media then enables the designer to produce new things to do, from tweeting to social gaming to video messaging. Only a logic internal to media and oriented to social effects and outcomes can account for how this all works, and for that Goffman is very helpful, but is only a part of the equation (as in when cues are missed, keying is unavailable, or discontinuous temporalities cause communication breakdown). To wit, and for example, we know through Goffman what it means to say “oops” and how many ways “oops” can be directed and used as an indication of an individual's misstep. But how are missteps expressed on twitter? What are the social consequences of a missteps? What are handling possiblities for missteps? How might the fear of missteps raise the barrier to participation? Goffman would provide social conventions — but online these are either different or unavailable. I have seen missteps on twitter that went unheeded and uncorrected, and where others did not publicly come to the user's rescue. Is face lost then if the misstep goes un-mentioned? What is the difference between observing the misstep and addressing it? Is it not likely that we miss the ritualistic possibilities for handling loss of face without talking about it (which we can do in situations of copresence) — and that one reason nobody tweets a face-saving rescue is that it might actually cause the misstep to become more noticeable? And if, for Goffman, turning one's back is the worst one can do, does the user who has “embarrassed” himself in twitter feel that his followers have turned their backs? Or, on the contrary, is he grateful that nobody tweeted about it? These are precisely the kinds of ambiguities that “exist” online and which require a reading of Goffman through media theory. Having studied with a student of Goffman, I'll just say you are wrong about social media as a verb and leave it at that. Social presuppositions of the type discussed in “Felicity's Condition” do not depend on the medium, unless you believe McLuhan had it right…which I don't. As Goffman notes, “writing or saying makes sense only if the actor intends a meeting of the minds–if only enough to inform self-interestingly.” Social computing applications, like syntax, regardless of their affordances, are there for people to bend to their purposes, or meaning, i.e. semantic will. This is the quandry, and opportunity, for social interaction design. In the Socialtext-adapted variant of Agile, we use the term “story” instead of “use case.” Larger stories are composed of nested smaller stories. Not to take too much credit here, the artifacts in practice are just fairly informal use cases, with “story tests” describing the behavior that must be true for the work to be complete. The more I think about the recent suggestion to design for mystery and ambiguity, the more I think that's the wrong direction, unless one is seeking to create experiential art. The beauty in these systems isn't that the user is confused about what to do at any given moment – but that they can coordinate interactions and things in ways that appeal to them. With these open-ended systems, goals are part of users' practices – but the goals are defined by participants, not the designers of the software. With Twitter, I'm not sure how much of its nomic nature is happy accident – what the team got dead right was a simple system, with a powerful social network model (asymmetric-public), and an accessible API With Flickr, the team did it on purpose – its engine was originally built for a multi-player game. Very interesting and constructive points in my opinion. Thanks for commenting! I like the idea of different “narratives.” I might call them “interaction regimes” or practices, but that's only because I think narratives describe a text of some kind, and agent-centric interactions are, as you say, an open-ended series of transactions. If individual user actions come together in a recognizable form, as a themed activity, a framed experience (games), a set of interaction or communication conventions (such as are more commonly found in communication tools), then we can tease out the elements — social, technical — that form the practice. I'd also just want to make clear that I'm not equating mystery and ambiguity. I merely wanted to critique the idea that there is objective meaning in design itself that explains user behaviors. And to shift emphasis from user behaviors reacting to design to users interacting with each other instead. Which is where I believe the negotiation of intentions, motives, relationships occur on the basis of ambiguity rather than clear-cut consensus. I'm not suggesting that ambiguity be baked into design but rather that the ambiguity of socially-negotiated meanings be recognized as an important aspect of the interaction. Your Twitter examples being perfect cases of social practices supplying what the design does not. Ambiguity as a design framework clearly emerged from the Conceptual Art movement of the 60s, which was based on ideas, less on form, in which art was meant to engage thought, and not prescribe thought. With regards to Interaction design, ambiguity is to be avoided as seen by the emphasis on transparent design or unambiguous design. Ambiguity is not a persistent quality of an interactive system. Once an understanding of the object or situation before you are reached, the experience ceases to be ambiguous. However, people are not always so decisive – a fixed interpretation one day can become another the next day. It all depends on the nature of the design. Thanks — and yes, i'm definitely talking subjective ambiguity not objective ambiguity. That said, however, there are obviously cases where the subjective use of some design element “transfers” ambiguity to the object or element. The element's meaning is then ambivalent. This happens all the time with gestural tokens, which a recipient or viewer may read on the basis of what they mean (objectively), how they are usually used (convention), how they are used here (context, themed activity), what I am supposed to do (communicative), and so on. As you say, nature of the design, plus nature of the interaction.